Brandt graduated from the University of California at Berkeley in 1974 and received his Masters in Public Health from the University of Hawaii at Manoa in 1978. Thereafter he worked in health planning for the Health Systems Agency in Northern Alaska, and then for the State Health Planning and Development Agency in Juneau, Alaska before returning to law school in 1983. In 1986 he graduated from Willamette University College of Law in Salem, Oregon. He returned to California and was admitted to the State Bar of California in 1987. Brandt practiced in civil litigation for the next sixteen years. In 1999, he returned to law school to complete a graduate degree in taxation (LLM) at Golden Gate University College of Law in San Francisco. After completing the LLM in 2002, he moved to Fort Bragg, California to join Sean J. Hogan, JD/CPA in his tax law practice. The firm of Hogan & Stickel, Inc. was formed in January of 2006. Since then, Brandt’s practice has emphasized estate planning, probate, trust administration, conservatorships and business organization matters. Sean Hogan retired from his practice in 2013 and Brandt has been the principal of the firm since that time. 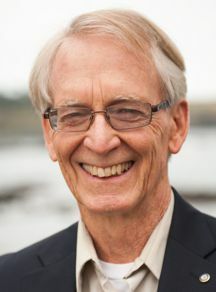 Non-Profit organizations are important to the vitality of the Mendocino Coast and Brandt has served on numerous Boards including the Chamber of Commerce, The Redwood Coast Senior Center, The Mendocino Art Center, the Mendocino Presbyterian Church and currently, Genesee Home Ministry. He has actively participated in the Rotary Club of Mendocino since 2006. Brandt and his wife consider themselves fortunate to live on the Mendocino Coast. They enjoy the rural lifestyle and sense of community. The hallmark of Brandt’s practice is working with and educating clients to assist them with their (legal) goals and objectives. 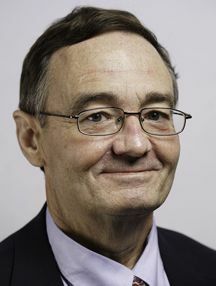 John Pless, CPA was drawn to the tax and accounting business since his days at the University of Georgia. John loves helping his clients save money through tax planning strategies that are presented in a clear, easy-to-understand manner. John is known for being responsive to his client's needs, available by phone or email when his clients need him most. With tax reform and disruptive business trends, John stays on top of current developments through continuing education and studying business trends. John cares about his clients personally and is all about maintaining strong relationships to get the most for clients. John has experience in multiple industries, with specialization in business professionals and realtors. John brings over 35 years of tax and accounting experience to his practice. He has seen it all, and this experience can help provide his clients with better advice and financial outcomes. John has two adult children and loves the Georgia Bulldogs and SEC football.